Entrance, 1st floor: landing with separate toilet, cosy bright living room with a luxury open kitchen with built-in appliances such as a gas cooker, hood, dishwasher, combination oven-grill-microwave, large fridge with freezer, access to the sunny roof terrace of approx. 14m2 (facing West), spacious bedroom with a double bed, built-in wardrobe, air conditioning, modern bathroom with a sink, shower, combination washing machine-dryer. The apartment has PVC flooring and double glazing throughout. 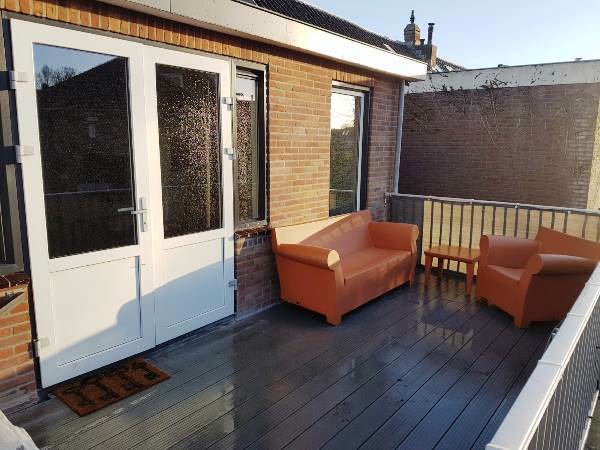 This top quality fully furnished apartment is located close to NS train station Santpoort-Noord with frequent connection to Amsterdam (Amsterdam-Sloterdijk is only 25 minutes) and a bus stop (only 15 minutes to Haarlem Station). Also near shops, restaurants, a supermarket, main road (N 208), the dunes (National Park Zuid-Kennemerland) and the beach. 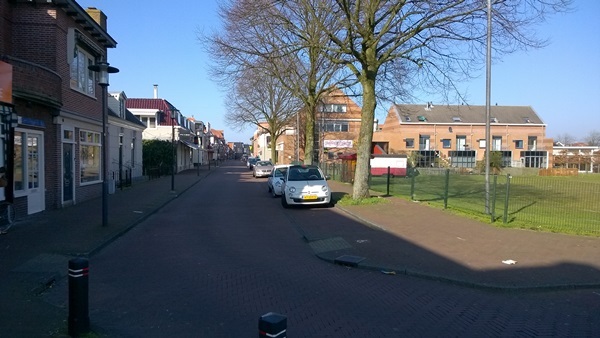 The rent of this fully furnished apartment in Santpoort-Noord is excluding utilities and local taxes. A rent including utilities and possible cleaning service is possible. TV connection and internet are within the rent. Available for rent only fully furnished. Minimum rental period 1 year. No pets allowed. Free parking in front of the apartment.